Happy New yEARTH! | Ascension 360º - Navigating the New World Energies! On December 22nd, 2012 we completed a 26,000-year cycle and, at last, crossed the Dimensional Border into the Fifth Dimension, entering The Golden Age of Light – The Age of Aquarius! We have successfully ascended and, whether it appears like it or not, no one was left behind. 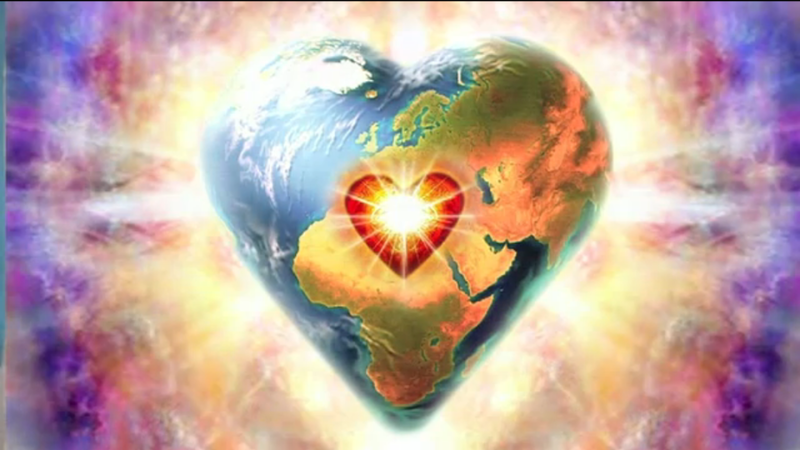 This extraordinary cosmic event brought in very intense and highly vibrating frequencies of Light and Love that will now take their place firmly on our planet and within each one of us to be nurtured and cultivated in the creation and manifestation of our new world. Did you feel it? Were you aware of any powerful insights or higher awareness coming in? What was your experience of this momentous occasion? And what are you now noticing is changing and unfolding – in your life, your work, your being? There are some who were left confused by The Shift, feeling let down and incomplete, not sure if anything happened at all. There are actually those who believe it was all a hoax because the world did not end in a fiery apocalypse. Indeed, it did not. On January 1st, 2013, we completed a year filled and fraught with difficult and challenging endings to kick off a new year marking a new time, a new space, a new era of beginnings. Join Hillary for a pointed look at this very historic point in time of new beginnings. She will bring context to our moment of Ascension and introduce us to the themes, powerful energies and ways of being the Fifth Dimension brought in that will guide and shape our lives and our world in the year to come. Hillary will also share about her own rather strange and unexpected Great Shift experience that left her with what she calls an Ascension hangover! So tune in for a first of the year look at our New Beginnings launch! Bookmark this article Happy New yEARTH!